226, General Laws of Oregon, 1907. 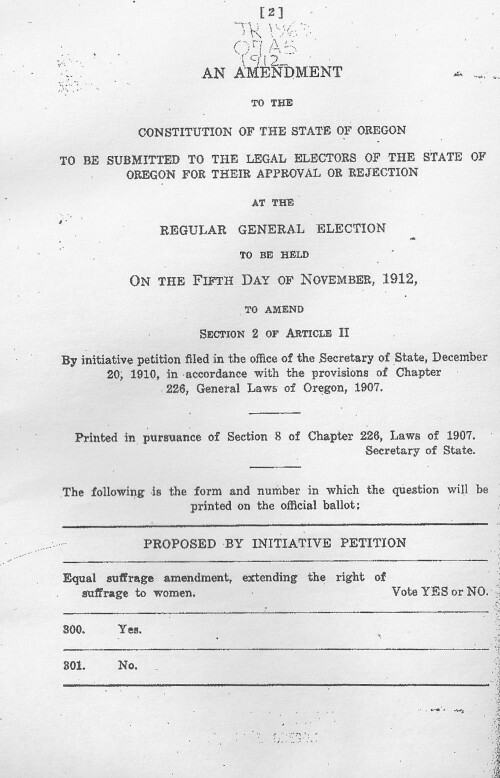 Printed in pursuance of Section 8 of Chapter 226, Laws of 1907.
suffrage to women. Vote YES or NO.